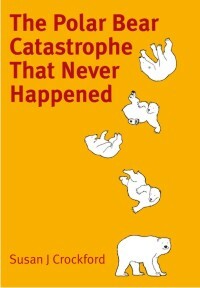 EATEN – my new polar bear attack novel – is set in Newfoundland 2025 for a reason. I wondered: what if sea ice coverage 10 years from now is as high or higher than it has been for the last two years, with inevitable positive effects on Davis Strait harp seal and polar bear populations? How does the above ice map compare to the last two years? At least as high or higher. Have a look below. A video being hyped around the internet – “Witness a polar bear’s heartbreaking swim for ice in the Arctic” said one headline – is simply shameless propaganda, facilitated by the US Geological Survey and its polar bear biologists. USGS scientists involved in this work should be ashamed of themselves. 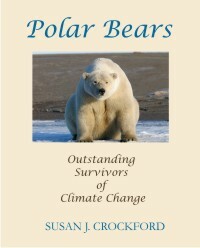 Take a swim with a polar bear family as they traverse the Arctic Ocean in search of sea ice. This is a load of nonsense and a total misrepresentation of the facts. 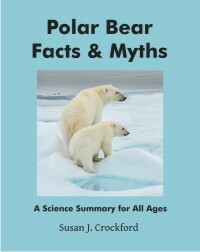 In addition, the text added to the video is pure propaganda: it is being used to promote the US government position that sea ice loss due to climate change is a massive threat to polar bears. Unfortunately, recent studies contradict the contention that polar bears have already been harmed by declines in summer sea ice. 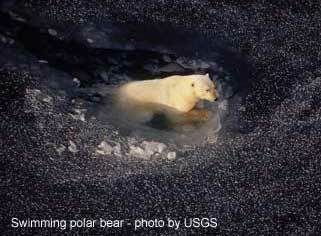 1) The bears were swimming away from the USGS researchers and film crew who had shot them full of sedatives and attached a camera to one of their necks — they were not swimming toward sea ice 100 miles away. 2) The video was shot in the Bering Sea, in April 2014, when sea ice was about its maximum extent of the year — there was lots of ice around when this video was filmed. 3) The company doing the filming is using this video as a fundraiser. Details below, including a sea ice map for April 2014. UPDATE June 27, 2014 – see follow-up post here. 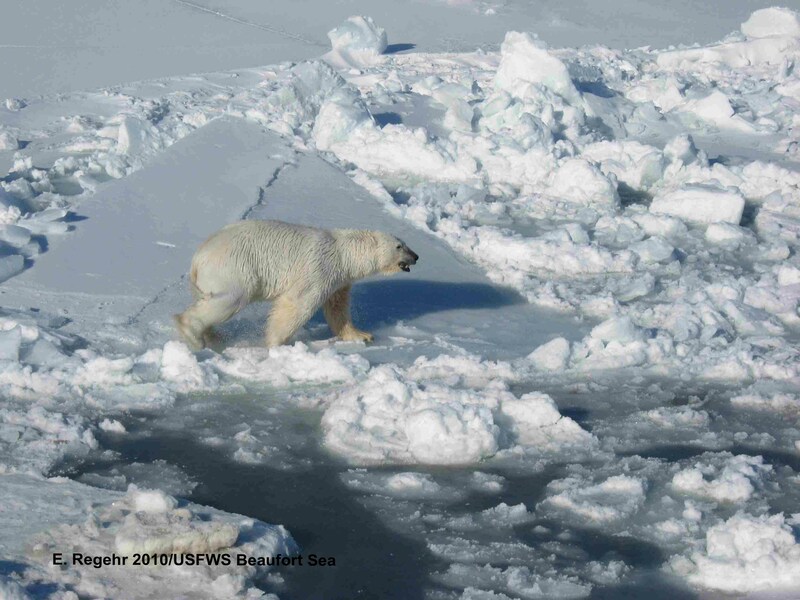 Here is the follow-up I promised to my post on the July track map for polar bears being followed by satellite in the Beaufort Sea by the US Geological Survey (USGS) – Ten out of ten polar bears being tracked this summer in the Beaufort Sea are on the ice. See that post for methods and other background on this topic, and some track maps from 2012. The track map for August was posted on the USGS website on September 4th and is copied here below (Figure 1). The ice moved a bit further offshore during August but not nearly as far as it did in 2012. The ten bears from July were down to eight – their collars might have stopped working or fallen off (most likely), they might have left the area entirely (also possible) or they might have died (the researchers don’t say which). 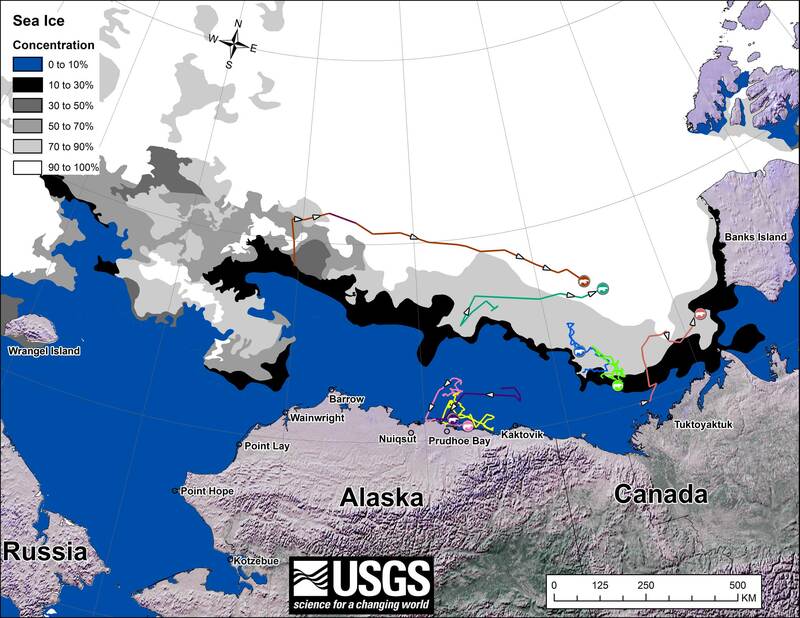 So, of the eight polar bears still being followed by USGS researchers in August, three were on shore and five were on the ice. Only time will tell if the three females on shore are pregnant and preparing maternity dens for the winter, but this seems the likely reason they are not on the ice with the others. I’ll post the track map for September when it is available in early October at the USGS website.